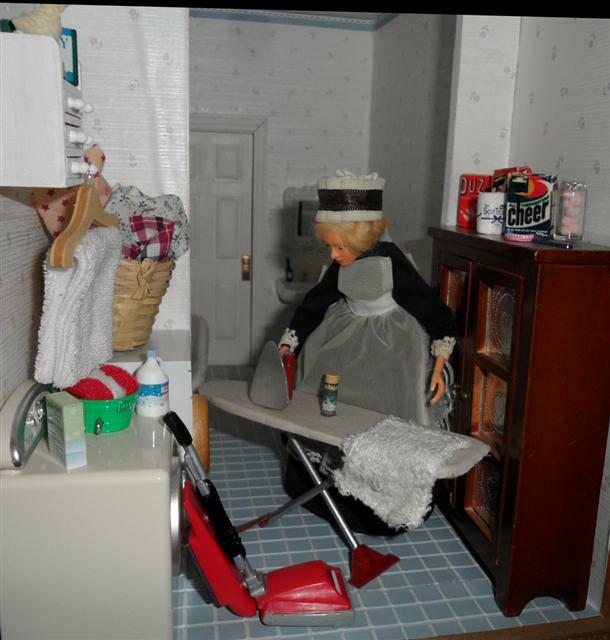 Peggy Nisbet is a well known doll artist in the UK. 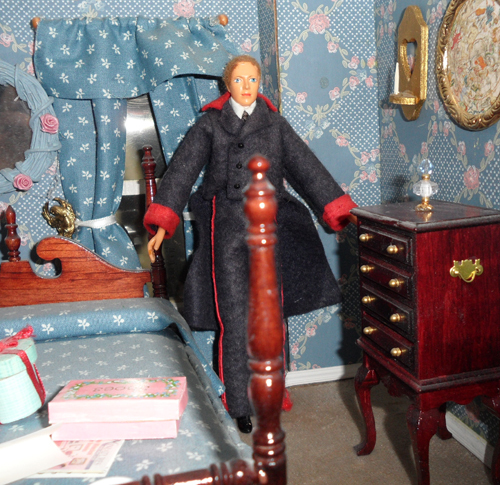 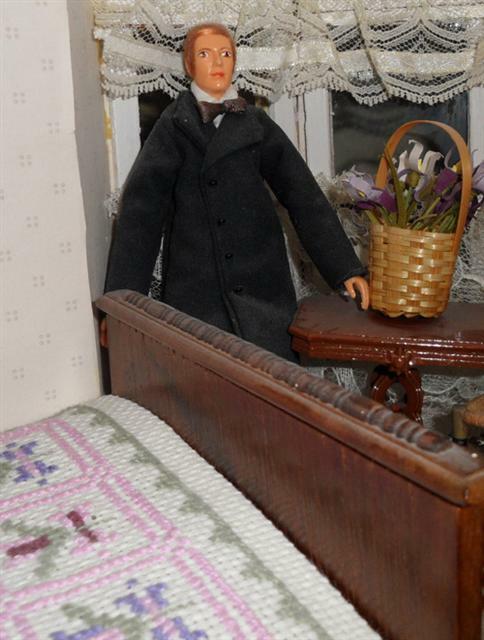 Most of her dolls are 9 inches tall, too tall for a dollhouse, but for a very brief period of time she made dolls house dolls. 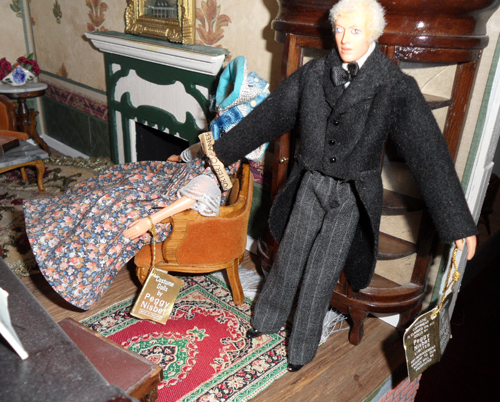 Her dolls house dolls are still a bit tall for a one inch scaled house. 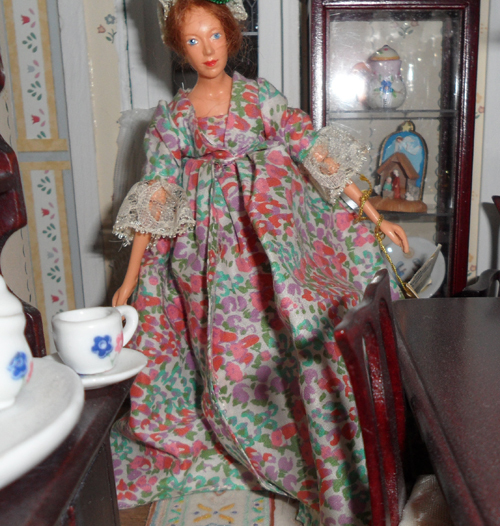 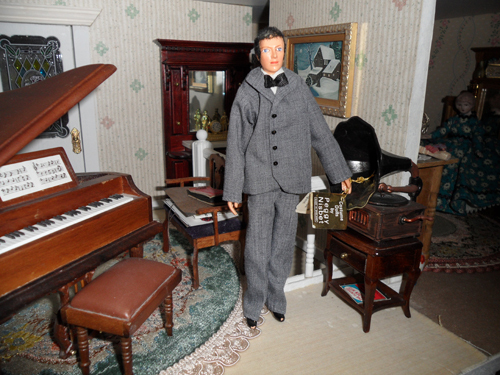 These dolls are fully jointed and have very firm facial features.